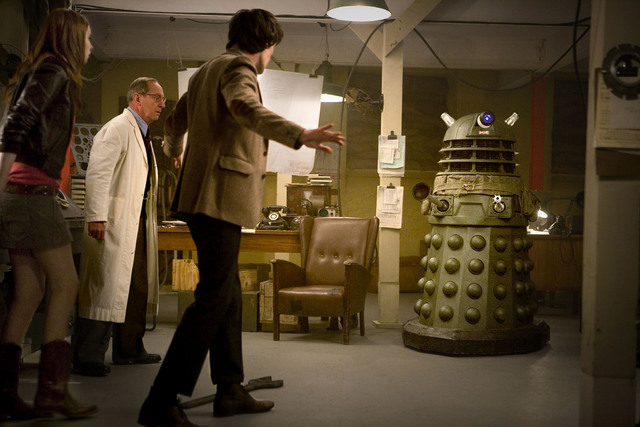 Supreme Dalek: We are the paradigm of the new Dalek race: Scientist; Strategist; Drone; Eternal; and the Supreme. The Doctor: …Which would be you, I’m guessing. Well, y’know – nice paint job. I’d be feeling pretty swish if I looked like you; pretty Supreme. 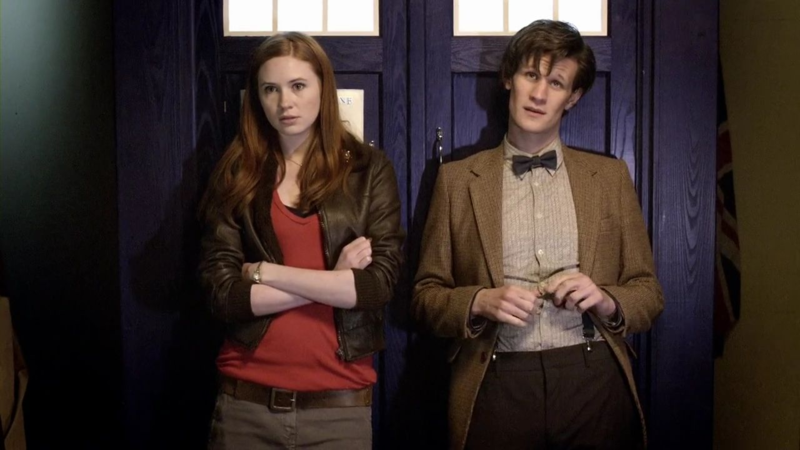 Starring Matt Smith as the Doctor, and Karen Gillan as Amy Pond; with Ian McNiece was Winston Churchill, Bill Paterson as Professor Edwin Bracewell and Nicholas Pegg, Barnaby Edwards and Nicholas Briggs as the Daleks. 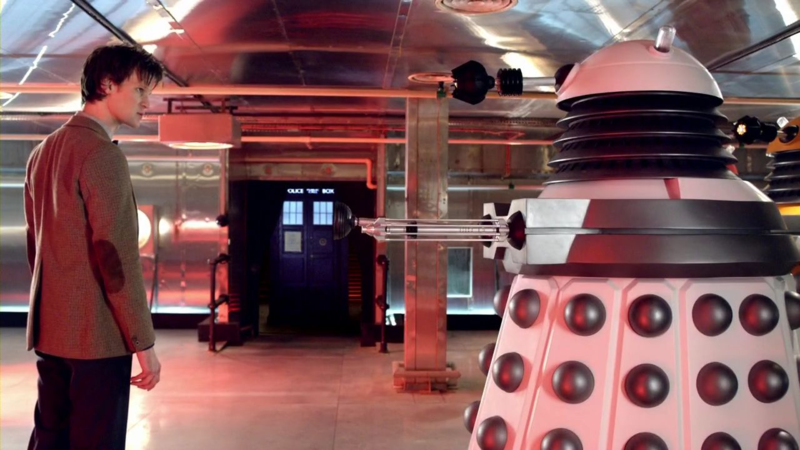 Churchill has a new weapon in the war against the Nazis: the Daleks. Can they really be trusted? Why are they after the Doctor’s ‘testimony’? And what happens when they win? The promise of a new paradigm of Daleks brought in 8.2 million viewers across BBCOne and BBC HD, and garnered mixed reviews. The new paradigm is, indeed, a point of controversy, with some thinking that their colour scheme makes them too childish. 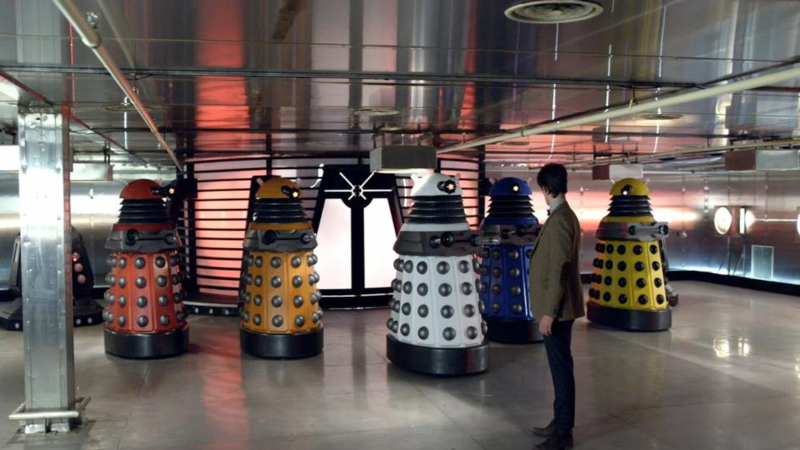 Personally, I love them – and the Daleks have always been colourful! Released as part of the Doctor Who: The Complete Fifth series box set in 2010, including commentaries with cast and crew. Also released as a ‘vanilla’ DVD alongside The Eleventh Hour and The Beast Below. One of Churchill’s favourite expressions – KBO (that’s ‘keep buggering on’) – is used throughout. Ian McNiece and Bill Paterson return to their roles in The Pandorica Opens (2010), while the former is also seen again in The Wedding of River Song (2011). WATCH IT IF YOU LIKE… PLANET OF THE DALEKS.